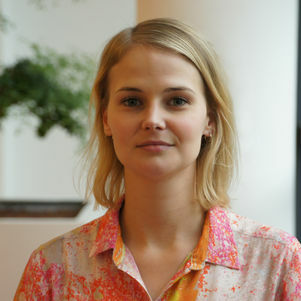 “In the NWO project GAMPSISS (GAmeful Music Performances for Smart, Inclusive and Sustainable Societies), research is being conducted into whether and how a blend of gaming and classical music can contribute to an active listening culture and thereby to a more tolerant society,” as TPM researcher Annebeth Erdbrink explains. Games in which the player for instance learns new active listening skills, that can be directly put to the test in various fictional scenarios, can contribute to a change of attitude and/or behaviour regarding listening in daily life. The addition of (live) classical music to such a game may intensify the desired effect. Some experts believe that in the 19th century, classical music helped to shift significant social values. Until now, there has been little empirical evidence of which game design principles make an effective contribution to the desired change in attitude and/or behaviour after playing a game, and which are in fact counterproductive. Designers currently often make decisions on the use of different design principles based on gut feeling. Erdbrink: ‘With the results of this research, I want to help game designers make the right design decisions, depending on what they want to achieve. My dissertation will be a kind of cookery book, with ingredients and recipes. Alongside the GAMPSISS project, I will also be testing the effectiveness of various design principles in other, smaller-scale case studies’. Project GAMPSISS researches the extent to which games with classical music may be able to contribute to improving active listening skills. ‘That is important, as active listening skills bring about changes in the values and attitudes of people towards themselves and others’, says Erdbrink. Research has shown that active listeners are more open to new experiences, more emotionally mature, less authoritarian and more democratic. Considering the polarisation of society, an active listening culture is becoming increasingly relevant. ‘Two so-called ‘gameful music performances’ will be designed, developed, tested and evaluated during the project. Our aim is to use groups of test subjects that are as diverse as possible. The first performance will primarily be a listening tool, while the second will be more of a complete game in which you really enter a game world’. The addition of game elements to classical music concerts may possibly have another welcome side effect. It has long been known that concert visitor numbers are in decline, due to an ageing audience with little scope for growth. The ‘gameful music performances’ could potentially tap into a new target group. For GAMPSISS, TU Delft is collaborating with Codarts Rotterdam, Erasmus University Rotterdam and the Willem de Kooning Academy. Various concert halls and orchestras are also involved in the project, which runs until Summer 2021. Annebeth Erdbrink is a social psychologist working in the Policy Analysis section of the Multi Actor Systems (MAS) Department.